Women participation in sports has come a long way due to discrimination and gender inequality where men could not allow females to participate in any sports discipline. It was at the 1900 Paris games where women first participated in sports following the introduction of women’s events in lawn tennis and golf. Women’s athletics and gymnastics later featured during the 1928 Olympics and since then, many females started joining sports. During the 2012 London Olympics, women’s boxing was officially introduced to their calendar. Phiona Mutesi has kept the Ugandan flag high in chess as she became the first woman to earn a Woman Candidate Master (WCM) title in the East African region. Her poor family background did not stop the then 18-year-old from beating all odds at the 40th World Chess Olympiad in Istanbul, Turkey in 2012 to become the WCM. In 2010, she played six rounds on board two and one round on board one (the toughest chess games) for Uganda at the 39th World Chess Olympiad, scoring 1.5 points out of seven to enter the Ugandan chess history books as the youngest chess player ever to represent the country at the Olympiad, the biggest chess event in the world. 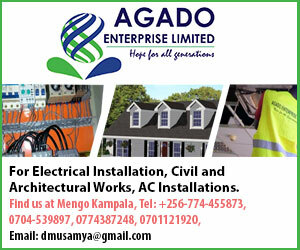 “Ms Mutesi is a very talented player, well-disciplined and hardworking. Not only has she made women in Uganda proud but she is now an international icon when it comes to chess,” says Mr Vianney Luggya, the Uganda Chess Federation boss. Her success in sports continued to prosper over years and in 2013 she became the first youngest African woman to win a prestigious Women’s award at the Women in the World Summit and Conference in New York. She has played chess with the world renowned Garry Kasparov and currently, the teenager is preparing for this year’s chess world Olympiad qualifiers in Norway and a game with billionaire Bill Gates in April. 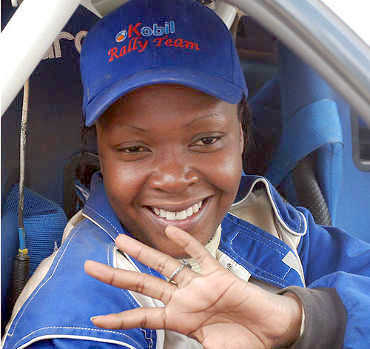 In 2011, Super Lady Susan Muwonge became the first female driver to win the national rally championship after spending about six years competing with men. In 2012, she was also honoured by Uganda Sports Press Association as the sports personality of the year. In the International Drivers Association’s World Women’s Rankings for 2012, Ms Muwonge was ranked eighth, making her the highly ranked African driver. Before Mr Moses Kipsiro and Stephen Kiprotich were recognised in athletics, Ms Dorcus Inzikuru became a household name after winning the Commonwealth Steeplechase championship where she was able to win a cash prize of Ushs150m. “She was the best athlete in Uganda after John Akii-Bua since she brought another prestigious medal. People should not compare sportsmen to women because females have now taken up all the sports and are perfoming better than men,” says Ms Penninah Kabenge, the Makerere sports tutor.